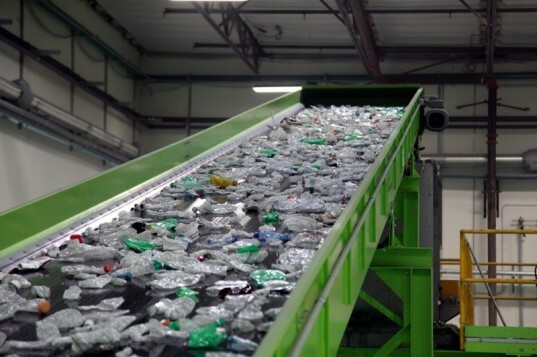 A recycling plant that will recycle up to 2 billion PET bottles a year recently opened this month in Riverside, California. Governor Jerry Brown attended the opening ceremony for the carbonLITE facility that the company says will be the world’s largest plastic bottle-to-bottle recycling plant. The 220,000 square foot facility, built at a cost of $58 million, will receive #1 PET bottles from California curbside recycling programs. Before carbonLITE opened the plant, most of those bottles had been sent to China for processing. Those bottles are generally downcycled in Chinese plants into a low grade polyester fiber. Governor Brown and officials from the companies involved with the recycling plant’s construction offered a bevy of reasons why the plant is a huge step forward for recycling and environmental sustainability. The new plant prevents 48 million gallons of natural gas required to make new bottles out of virgin plastic. 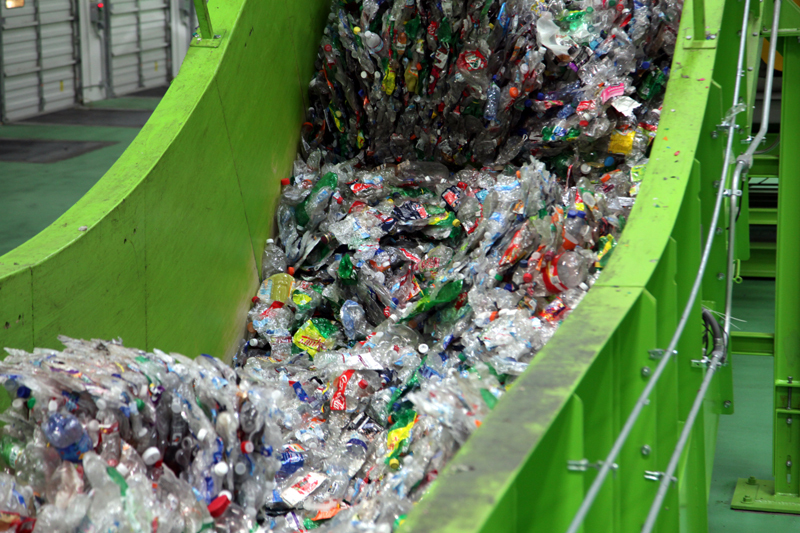 With plans in 2013 to double its capacity to 4 billion bottles recycled annually, carbonLITE will help the state of California achieve its goal to recycle 75 percent of its waste by 2020. Companies including PepsiCo and Nestlé will also gain because the plant will help their companies meet their recycling objectives. Both companies, in fact, have committed to purchase almost 75 percent of the plant’s output. When the carbonLITE plant reaches full capacity, 100 million pounds of of PET bottles will produce 75 million pounds of food-grade PET pellets annually. Another plant on the east coast is currently under discussion, and Neville Browne, carbonLITE’s CEO, said investors from abroad have approached him about investing in similar plants. The plant was a joint effort between carbonLITE’s parent company HPC Industries, Nestlé, PepsiCo, as well as state, county and city governments. The carbonLITE plant also benefitted by Assembly Bill 1149, signed into law by Governor Brown last year. The law provides subsidies, or “market development payments,” to manufacturers who use recycled plastic and companies like carbonLITE that fabricate the raw material. Photos of carbonLITE plant courtesy of Sayeh Photography; baled plastic bottles Wikipedia; plastic bottle on a California beach by Leon Kaye. Great example of how sustainability, corporate social responsibility and public policies can be leveraged. Recycling facilities like this are needed everywhere. It seems so irrational to send plastic bottles over to China for recycling with the huge cost and environmental impact that it represents. Now, what is important too is to promote recycling among consumers. When you buy a plastic bottle in a supermarket your responsibility as a customer doesn't end when leaving the store, thinking that the environmental cost is included in the price of the product.